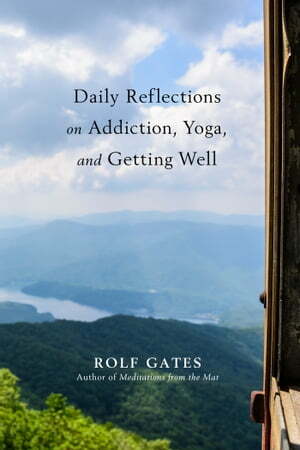 Collins Booksellers - Daily Reflections on Addiction, Yoga, and Getting Well by Rolf Gates, 9781401953973. Buy this book online. Deeply personal essays and daily prompts for self-reflection while healing from addiction and walking the road of recovery from the author of Meditations from the Mat and Meditations on Intention and Being. You are a process that has called forth a teaching for this day. This teaching will not be new to you; rather it will be reminding you of what you already know. Reminding you of who you already are. Rolf Gates, author of Meditations from the Mat, has walked the walk of the 12-step method of recovery while traveling down the Buddhist eightfold way and practicing the Eight Limbs of Classical Yoga. His integrated approach has been the key to his understanding of sobriety for over 25 years. In his series of 365 essays, Gates explores the lessons and experiences from his own practice and study, classical teachings, and his career as a teacher and coach. Each eloquent and brief essay is accompanied by a self-reflection prompt to help guide you on your journey of introspection and change. As the co-founder of the Yoga + Recovery Conference at Kripalu Center for Yoga and Health and Esalen Institute, Gates has made a significant contribution to understanding the role that yoga can play in recovery from addiction. With his personalized approach to both the modern and classic teachings and by embedding it within the space of the human heart and everyday life, Gates is a solid guide to finding and living the freedom that lives within each of us.